Tim Benson VPROI presents an exhibition of portraits painted of Ebola survivors and those that cared for them he encountered in his ongoing residency in Sierra Leone. 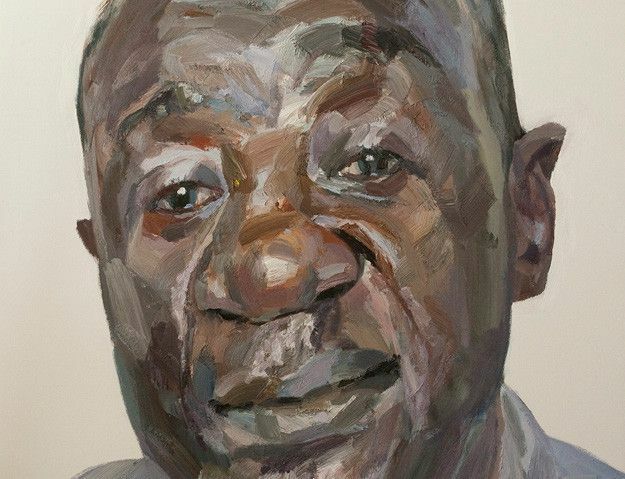 Both large and small scale oil portraits and audio interviews of those affected will highlight the continued social stigma suffered by many of those exposed to the recent outbreak of this devastating disease. Educated at Glasgow School of Art and Byam Shaw School of Art from 1998-2001, Tim Benson has received recognition with his election as Vice President of the Royal Institute of Oil Painters. Tim not only creates a distinguishable likeness of a subject but moreover evokes the sitter’s character and mood. He is never satisfied with simple representation, rather concentrating on bringing to his work an emotive and often visceral quality. Tim is Course Director of the Diploma in Portraiture at Heatherley School of Fine Art.